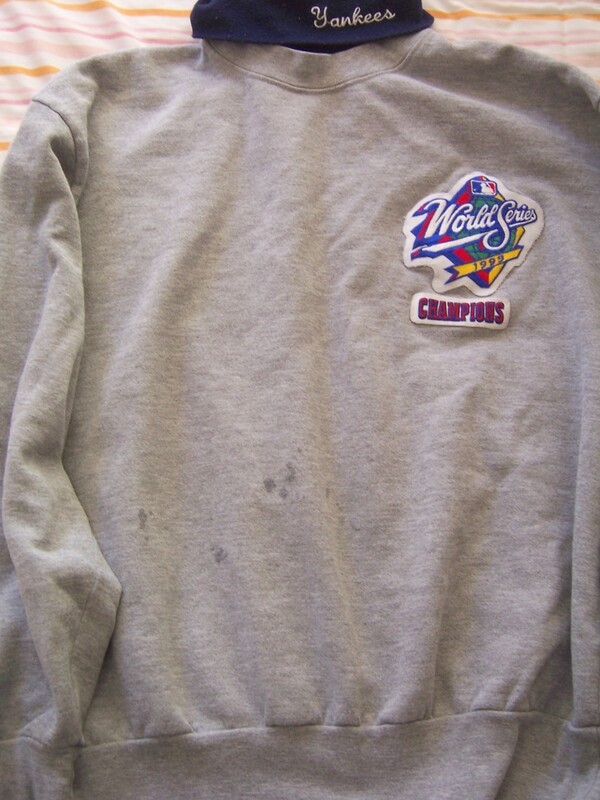 New York Yankees 1999 World Series Champions officially licensed sweatshirt made by Majestic, gray with embroidered patch on front and Yankees embroidered in script on the navy blue collar. Has elastic sleeve cuffs and waistline. Worn but in very good condition (just has some spots on the stomach area which may or may not be removable). ONLY ONE AVAILABLE FOR SALE.